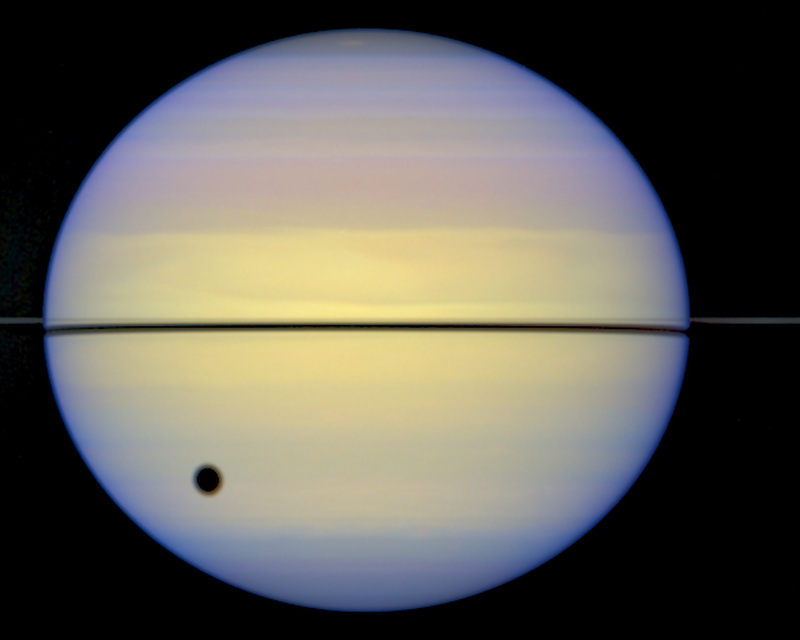 This is a Hubble Space Telescope snapshot of Saturn with its rings barely visible. 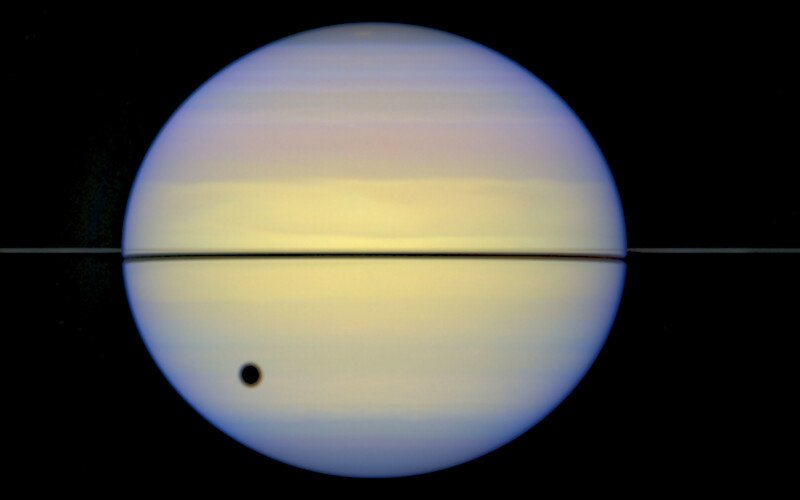 Normally, astronomers see Saturn with its rings tilted. 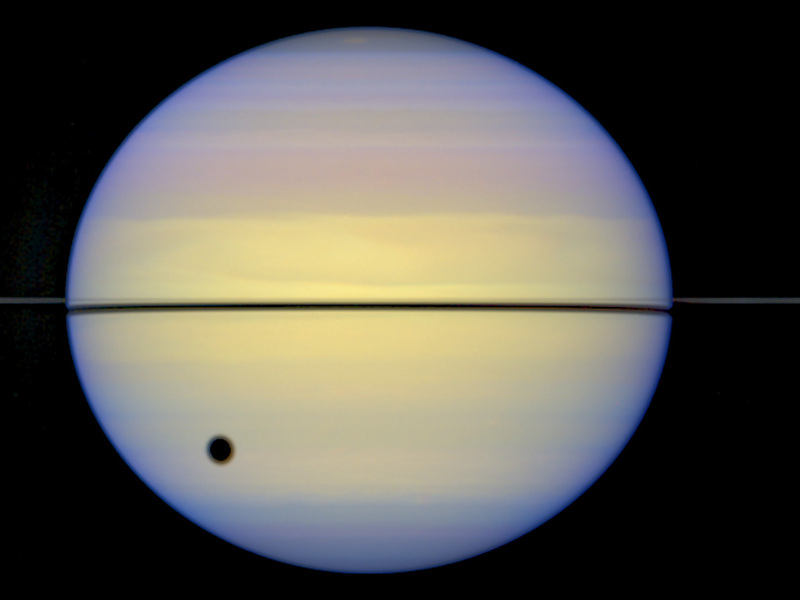 Earth was almost in the plane of Saturn's rings, thus the rings appear edge-on.